This time of year, there are few happier places to be than standing beside your grill. This recipe gives you yet another excuse to enjoy that happy place. 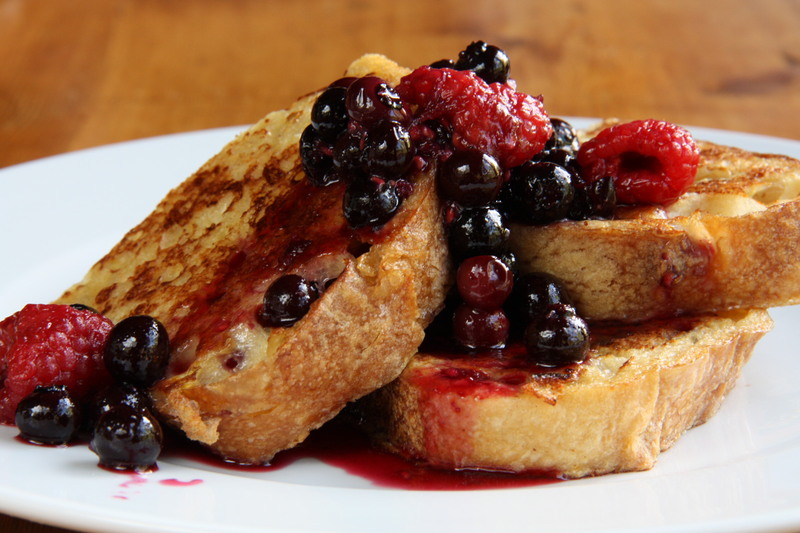 Yes, grilled French toast, flecked with a slightly bitter char that complements sweet toppings, delivers an incredible breakfast. But the meal also gives you an excuse to fire up your grill before noon. The ingredients are simple (hell, you probably have many of them sitting in your kitchen right now) and even the most coffee-deprived cook could handle the prep steps. 1. Preheat your grill to direct, medium heat. In a large bowl, whisk together the eggs, milk, honey, cinnamon, vanilla, and sugar. Coat each slice of bread on both sides with the egg mixture. 2. Place the bread on the hot oiled grill and cook uncovered until browned, 3 to 4 minutes per side. 3. Transfer the French toast to a serving plate and top with berries, whipped cream, maple surving, or with whatever toppings you enjoy. Makes 3 to 6 servings.